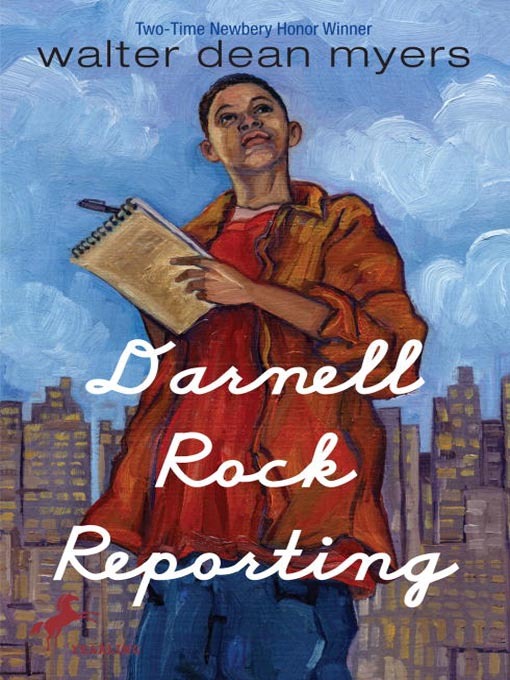 DARNELL ROCK IS not the kind of kid who volunteers to write for the newspaper--it sounds too much like homework. But this is Darnell's last chance to pull himself together and make a positive contribution to his school. At first, Darnell would rather be hanging out with his sister and his friends. But soon he gets interested in the Oakdale Gazette. Much to his surprise, Darnell discovers that people pay attention to the words he writes. Before he knows it, Darnell changes from a kid who can't do anything right to a person who can make a difference.